In Montessori’s third plane of development, from twelve to eighteen, the adolescent has a ‘humanistic mind’ eager to understand humanity and the contribution they can make to society. Rockingham Montessori School’s Adolescent Program commenced in January 2012 with 12 students from 12-15 years. The program is co-located with Murdoch University, in Dixon Rd, Rockingham. Since commencement the program has continued to grow in student numbers and in 2015 we had our first students receive WACE. Graduate students have gone onto various post school pathways; Tertiary studies including Commerce, Law, Teaching across various Universities, Vocational studies and directly into the workforce. 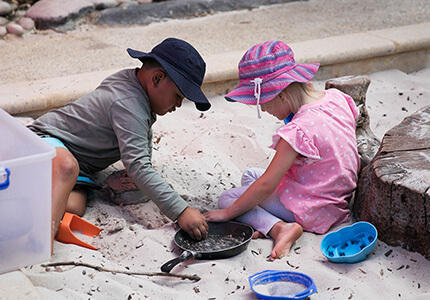 Incorporating Montessori philosophy, the High School program was developed in conjunction with Big Picture Education Australia and Murdoch University. 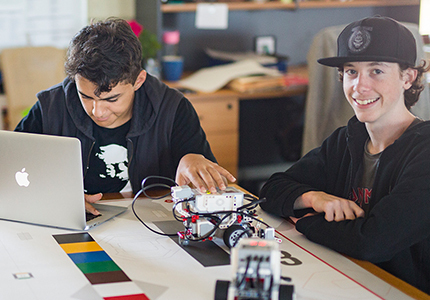 Big Picture Education Australia is a nonprofit company whose core business is the transformation of education in response to a rapidly-changing world. At the heart is a departure from traditional ‘appointment learning’ where everyone learns the same things according to a fixed timetable inside the four walls of a school. Well-aligned with Montessori philosophy, Big Picture is based on the belief that personalised, passion-based learning is the key to modernising education and preparing young people uncommonly well for successful futures. Nurturing creativity, curiosity and independence is core to Big Picture practice. 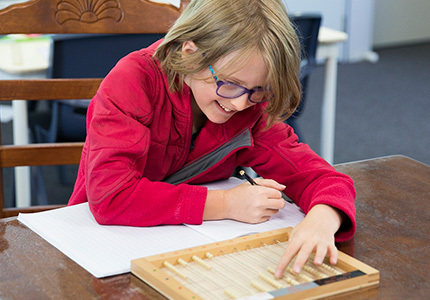 The Adolescent Program follows the Australian Montessori Curriculum in Middle School and incorporates Western Australia’s Senior School Curriculum in the form of Courses of Study in the Senior School. The Adolescent Program has a strong influence on the child’s personal growth in the areas of public speaking, the arts, sports, business, economics, entrepreneurship, out-of-school activities and work-readiness skills. The Adolescent Program incorporates internships to ensure students gain real-life experiences to guide their future career pathways. All students are encouraged to set their sights high for their personal achievement. There are a range of post-school options available for Senior School students. Students are able to undertake VET qualifications on campus or with a registered training facility. Tertiary pathways are strongly encouraged, and Year 12 students are able to access an undergraduate tertiary bridging program for Murdoch University whilst enrolled with us. Through our affiliation with Big Picture Australia students are able to utilise portfolio entry as an alternative pathway to university entry. The Montessori program for children aged 12 to 18 years is based on the recognition of the special characteristics of adolescence. Adolescence is an age of great social development, an age of critical thinking and re-evaluation, and a period of self-concern and self-assessment. It is a transition from childhood to adulthood with the corresponding physical, mental and sexual maturation. In early puberty the adolescent finds it hard to concentrate on academic and structured learning. Above all adolescence is like an odyssey – an arduous yet exciting adventure – where the adolescent tries to find his or her place in the world. Dr. Montessori recommended that the adolescent should spend a period of time in the country away from the environment of the family. This would provide an opportunity to study civilisation through its origin in agriculture. She suggested they should live in a hostel which they would learn to manage and open a shop where sale of produce would bring in the fundamental mechanics of society, production and exchange on which economic life is based. She outlined a general plan for their studies and work but believed that the program which she called ‘Erdkinder’ (German for ‘land children’) could only be developed from experience. 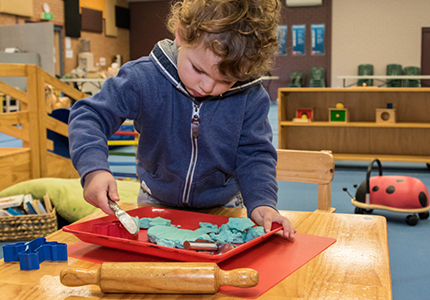 Our Infant Toddler Program (Playgroup) is the ideal way for your family to experience the Montessori philosophy and practice, while providing toddlers with a gentle transition to the Children’s House. named Dolphins, Penguins and Seahorse, reflecting our seaside location. Each is led by a dedicated and highly-trained Montessori teacher. Rockingham Montessori School has three Lower-Primary classrooms: Jelly Fish, Starfish and Sealions, continuing our ocean theme. Teachers are Montessori-trained and work with the help of an education assistant. In Montessori’s third plane of development, from twelve to eighteen years old, the adolescent has a ‘humanistic mind’ eager to understand humanity and the contribution they can make to society.